Product Overview The 27" Front Load Dryer from Frigidaire will be the best addition to your place. The dryer features a spacious 6.7 cu. ft. capacity for your loads. Prevent clothes from wrinkling with the anti wrinkle option. Features: 10 Dry CyclesFeatures 10 dry cycles to ..
Frigidaire -2 Piece Laundry Appliance Package .. 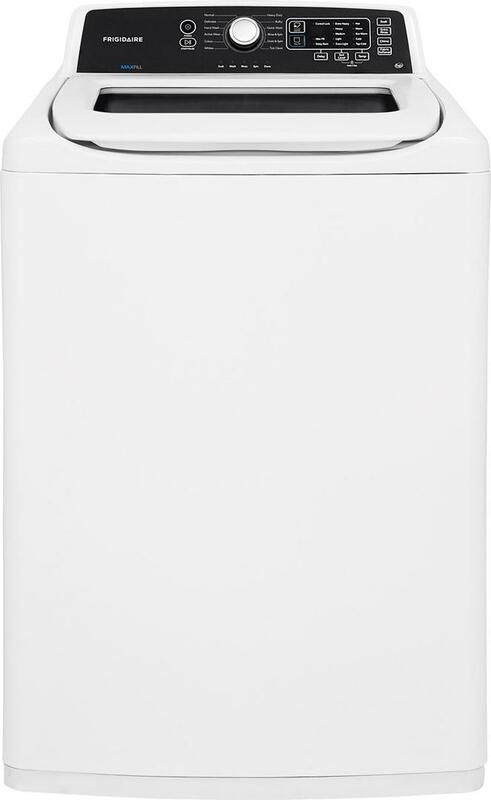 Product Overview The 27" High Efficiency Top Load Washer from Frigidaire will be the only washer you need. Select from 12 wash cycles for the ideal wash. The large stainless steel drum provides space larger loads. Features: Large CapacityFit more in every load Quick Wash C.. Product Overview Frigidaire Gallery electric wall oven gives you the cooking flexibility you need to prepare all of your favorite dishes True convection uses a single convection fan to circulate hot air throughout the oven for faster and more even multi-rack baking One-Touch Keep Warm Setti..